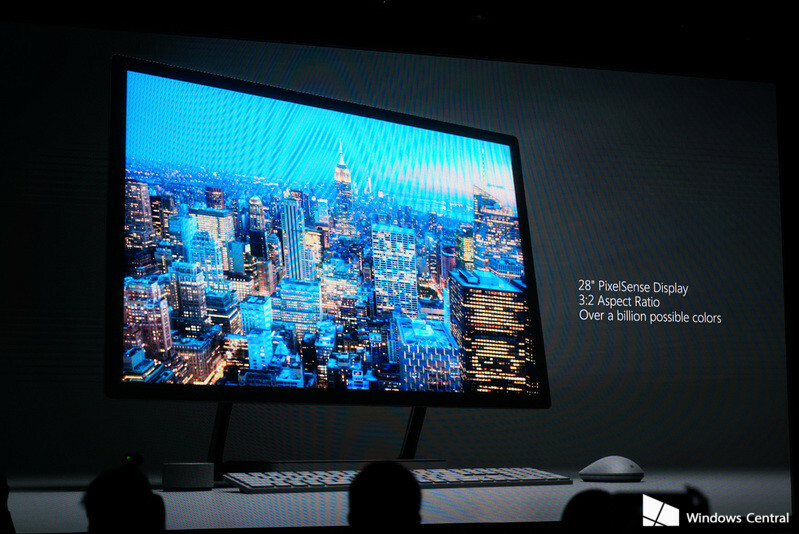 Microsoft announced Surface Studio all-in-one PC. The Surface Studio PC packing some impressive specs with 28″ PixelSense display with an aspect ratio of 3:2, built into the thinnest LCD ever on an all-in-one. The Surface Studio is also rocking 32GB of DDR4 RAM, an Intel i7 CPU and a 2TB hybrid storage drive. Microsoft also announced Surface Dial, small round device that allows users to access a new radial menu using haptic touch inputs. Additionally, the Surface Dial can be placed directly onto the screen, producing additional screen controls directly on the display. The Surface Dial will allow users to easily access and control the Surface Wheel. The Surface Wheel can be customized in the Windows settings. User can change volume controls, browsing features and more. The Surface Dial is designed to sit next to your Surface device on your desk with the keyboard and mouse. You can pre-order Surface Studio PC from here.